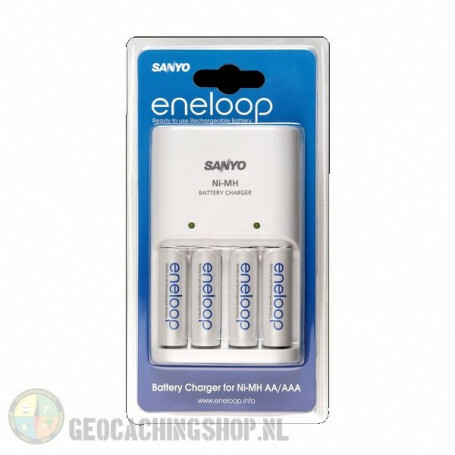 This charger lader is perfect for usage at home, it charges battries in 7 - 10 uur. A LED will indicate when it is ready with charging. When the batteries are fully charged, it will stop charging to prefect problems with the batteries. 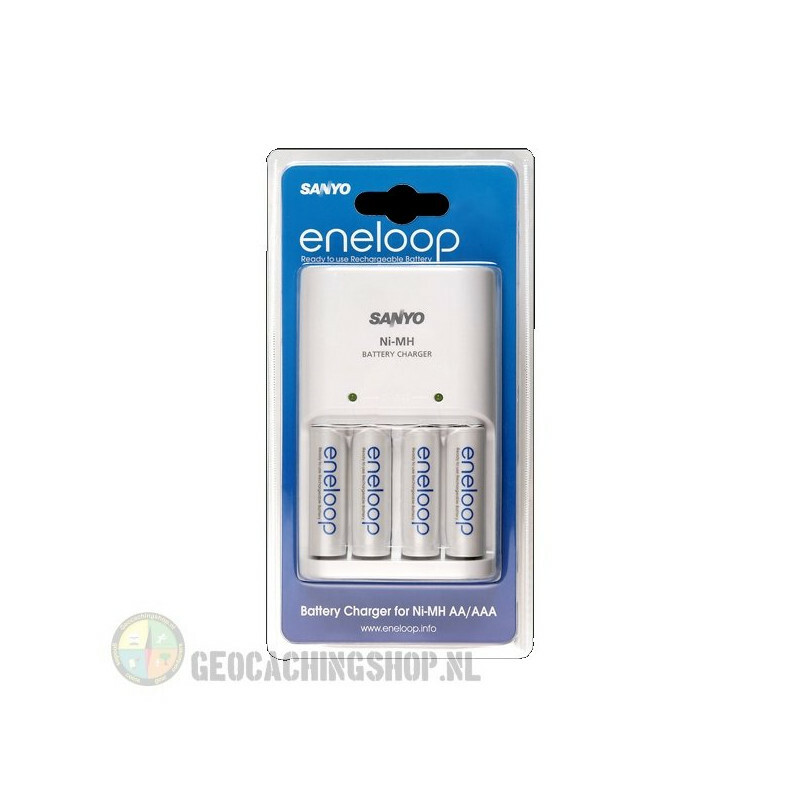 This charger is delivered with 4 AA Eneloop batteries. This charger is compatible with AA en AAA rechargeable NiMH batteries.